Determining soil moisture conditions before getting in the field this spring is essential to avoiding additional damage. 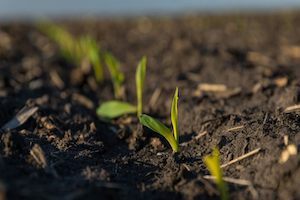 In light of the beginning of spring, the Iowa State University Extension and Outreach is offering tips for spring planting and wet soil management. Above-average snowfall and the potential for large periods of rain this season could pose challenges, according to the experts. That being said, determining soil moisture conditions before getting in the field this spring is essential to avoiding additional damage to soil. When the soil is dry enough to be tilled, a ribbon of soil pushed out between the thumb and index finger will break before it is “five inches in length.” Experts note that if soil is too wet, it will fail this test. When soil is too wet, heavy tractors can cause excessive compaction. Compacted soil can be difficult to till – in the event that it is tilled following compaction, non-uniform, large-sized soil clods will develop. This can negatively impact seedbed preparation due to a lack of uniformity. Overall, the experts state that it is best to wait for soils to dry before starting field work, but producers should ultimately “watch the calendar.” For example, in the southern three tiers of Iowa counties, the corn planting window to achieve 98 percent yield potential is April 17 through May 8. However, for the central two tiers of counties and northwestern Iowa, the window is between April 15 and May 9. A careful evaluation of each field and modifications to tillage and planting strategies can ultimately help producers with wet-cold soil conditions.